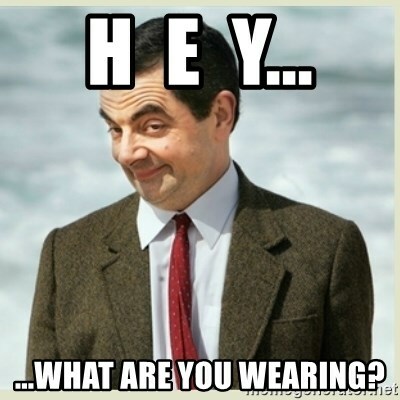 What are you wearing? | New Ink. Used Ideas. What are you wearing? – New Ink. Used Ideas. Everything matters. When you are talking branding. Everything you do, wear, who you spend time with, the places you go, and how you present yourself in all areas are IMPORTANT. Yup- even the people you surround yourself with matter when you are constructing a certain brand. “I’m breaking up with you because, well, you just don’t benefit my brand.” This will be a topic for another day. Here’s a sad fact- your appearance matters. Unless your goal is to be branded as a slob, what you wear and how you look are critical to your image. We all want to believe that what we say or do has more value than how we look, and I would hope that was true. But the fact is, your appearance it what gets the first impression. You could be giving Martin Luther King’s I Have a Dream speech and turn people away based on how you look. The last thing an audience wants to see when this speech is given is someone in cut off shorts, a beanie with a propeller on top, bushy unwashed hair, and food crusted on the speaker’s face. Yup, appearances truly matter when your goal is to be in the public eye in one fashion or another. When you walk into a room what do you want your appearance to say about you? Think about it- if you dress like a rainbow threw up on you what are you trying to say? “I am serious” is not what that image is saying. Rainbow barf says, “I’m quirky, artistic, and a bit squirrely. My focus has no focus.” If that’s your goal, cool. If, however, you really do want to be taken seriously then you must rethink what is in your closet. It doesn’t have to be boring. My favorite shirt says, “You are dangerously close to being killed off in my novel.” This is a perfect shirt for me. I have several shirts that have some literary comments on them. This fits my brand. I also have business suits. I’m the kind of person to wear my crazy t-shirts under a suit jacket. That’s just who I am. It is part of what makes me interesting and builds on my brand. If you think you are amaze-balls just as you are- you’re not. I like me. Hell, I think I am pretty flippin’ awesome, but that doesn’t mean that I don’t need a little polishing. Everything can be improved upon. I keep my hair very short, but my style could use an update. Makeup- I don’t wear it all that much but could use a few pointers when I do. I know where I need work and am willing to work on it. Your brand isn’t limited to you or what is on you, it also carries over to anything that represents you. For example, your business card. 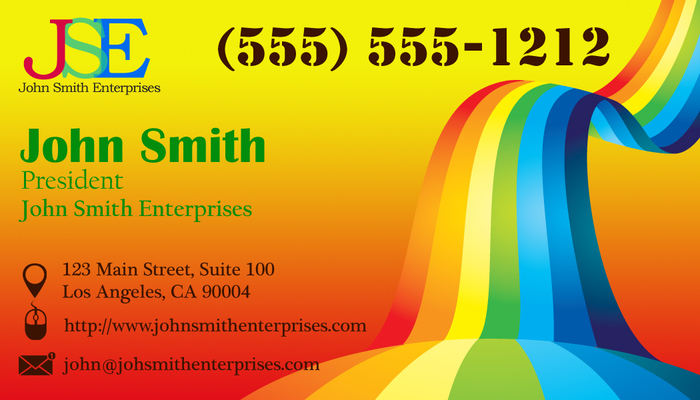 Yes, you need a business card, duh. You are trying to build a business, even if you are the thing you are selling. Just as before, when you give your card to someone and they look at it, what do you want it to say? Not in words but in the image and style of the card. Let’s go back to rainbow barf- if your card is covered in rainbow barf I am going to assume, even before I read it, that you are an artist or do something in relation to small children. The last thing I would expect to see are the words Accountant or Lawyer on that card. If I did see those words, I would throw out the card. Business cards, business stationery, bags, and flyers…anything you are using to represent you and your business needs to follow the same branding principles. I have to admit, the concept of branding has turned out to be rather daunting. I find myself combing through my things and doubting whether or not items are worthy of my “brand.” As I said yesterday, there are no days off from your brand. Unless you are staying in your home, chillin’ in your old high school sweats and unicorn socks are not acceptable outside of the walls of your home. If I want to relax in my Deadpool lounge pants and t-shirt I make it clear to the Hubs that I’m not going anywhere that requires real pants. Deadpool is AWESOME but he doesn’t fit the image I want you to see. Actually- no one needs to see me in my Deadpool PJs- ever.